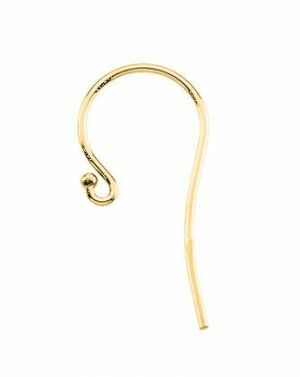 Description: 14k gold ball end style large french ear wires for custom earring designs. The open ended loop makes it easy to interchange your dangle creations of bead or gemstones without tools. Available in 14k yellow and 14k white gold . Sold by the pair. Measurements: 24x10.75mm in length with an approx. 20 gauge or .59" wire.